We had the absolute pleasure of hosting The Big Fake Wedding at Gramercy Mansion a few weeks ago. What an amazing event produced by a great team of professionals! Check out the video recap below from Gifted Films. We met some fun wedding couples planning ceremonies and receptions in the Baltimore area and also had the opportunity to work with some fantastic wedding and event professionals for the very first time. While this may not have been a “real” wedding, every professional from the talented designers, musicians and catering team was on top of their game and created an inspirational and memorable evening. Start pinning these great summer wedding ideas to your inspiration board! 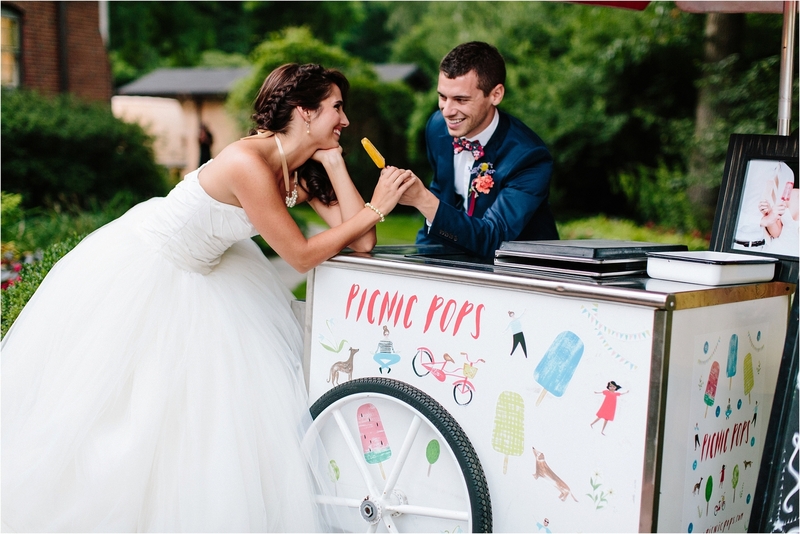 Keep guests cool during your outdoor summer wedding ceremony or reception with Picnic Pops, custom flavored popsicles served from an adorable old-fashioned cart. The whimsy and fun is just too much for words. 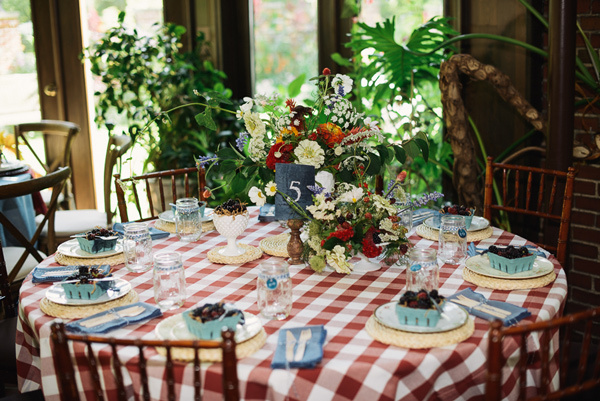 Create a summer-inspired tablescape featuring bright and beautifully-delicious cartons of local berries at each place setting. In keeping with the rustic country theme of the evening, we loved these table designs by Ruie and Grace. 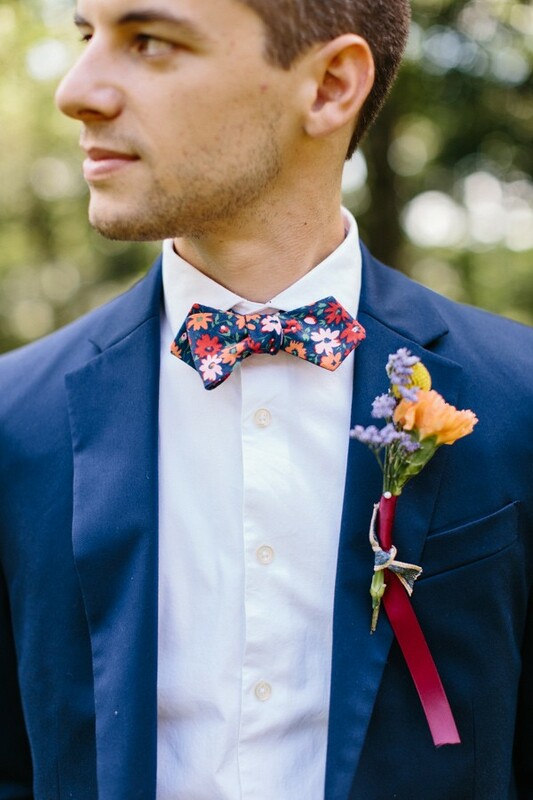 It is the bride’s day, no doubt, but there’s always room for a dapper groom! 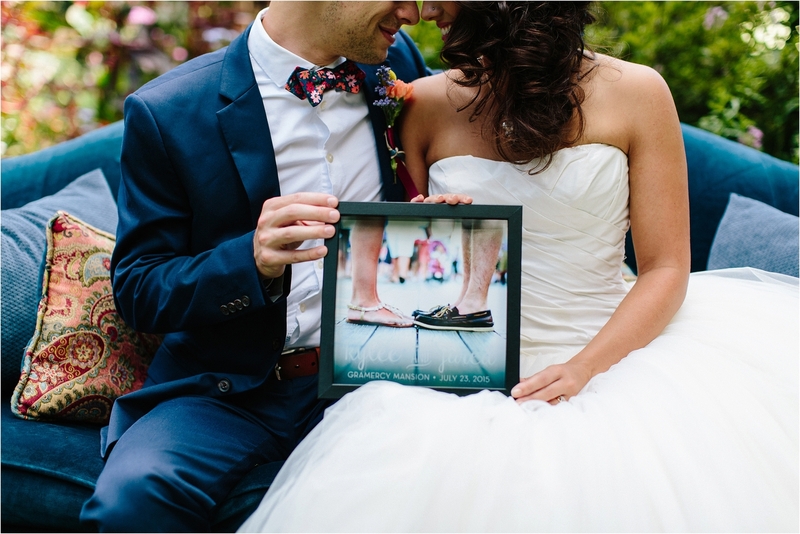 The custom bowties by Xoelle are utterly charming… how adorable would your ring bearer look in one of these! From toasting flutes to custom gifts, Eikoh Design Studio created some gorgeous etched glassware for Mr. & Mrs. Wineberg. Gorgeous craftsmanship and truly elegant gift idea. The creativity, fun and beauty of the day was captured by Brandilynn Aines and Kimberly Brooke – thank you so much for the stunning photos! And we would be remiss not to mention the professional team from Sascha’s Catering who provided a delicious and gorgeous homestyle spread and Select Event Group who provided the essential rentals to make the place look fabulous! 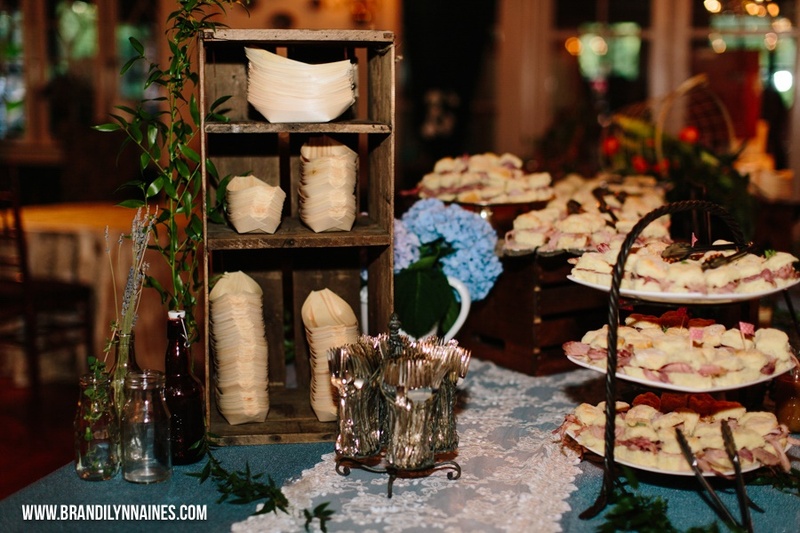 Visit Ruffled Blog for more Farmhouse Fête inspiration from The Big Fake Wedding Baltimore. This entry was posted on Monday, August 17th, 2015	at 4:14 pm	and is filed under Blog, Weddings & Events	. You can follow any responses to this entry through the RSS 2.0	feed. Both comments and pings are currently closed.